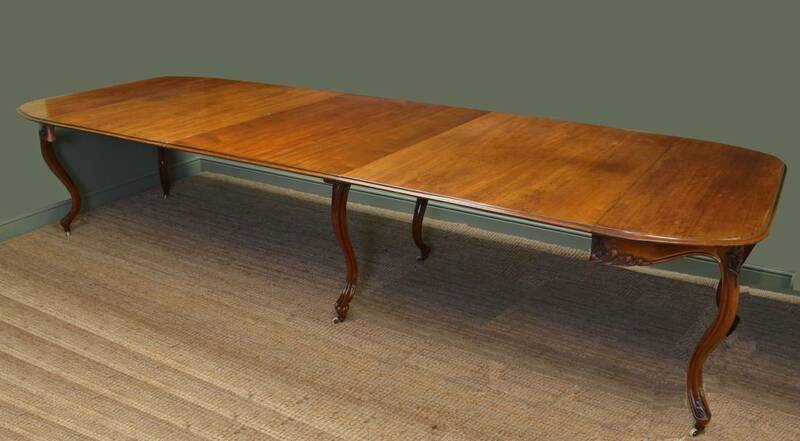 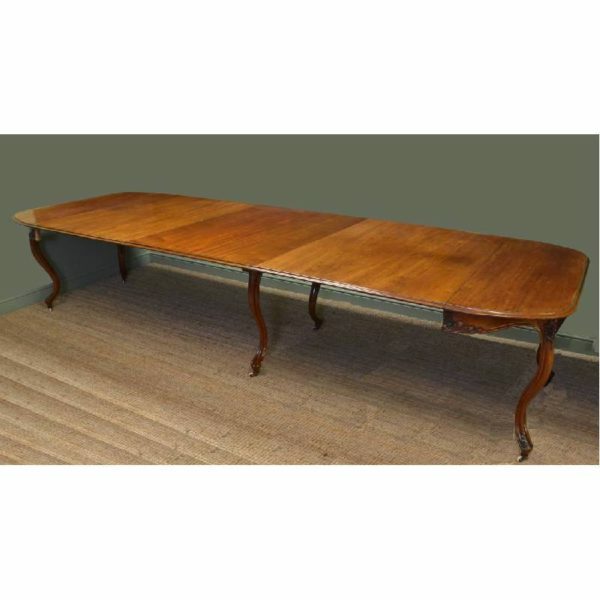 This Huge 12ft Victorian Walnut Antique Dining Table dates from around 1890 and comes with three large additional, removable leaves. 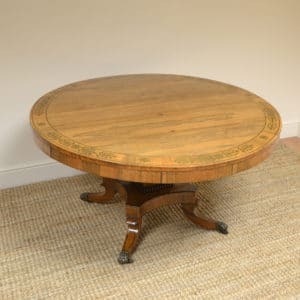 The top is solid walnut with a decorative carved apron sitting above six elegant cabriole legs with beautiful carvings and white porcelain castors. 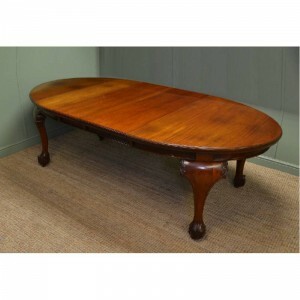 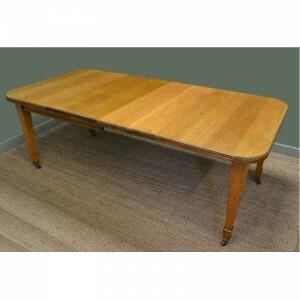 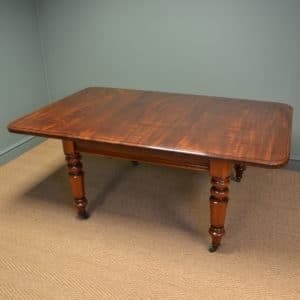 This antique table has the usual old repairs, charm and character to be expected on a genuine antique over 100 years old, but feels sturdy for everyday use and has aged to a warm shade of walnut with a striking grain, good patina, are in very good condition and have been beautifully cleaned using a traditional form of wax finishing.